When you open or run a business these days, one potent way of advertising for it is through digital marketing. Websites are an important aspect of this online digital market. The popularity of it is judged by the amount of traffic it generates. 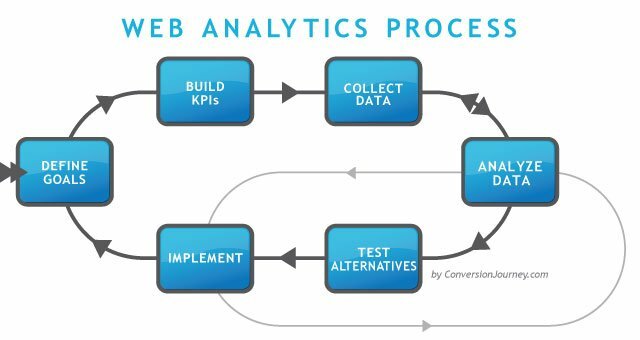 Web analytics include the collection of such data and it’s interpretation and understanding in order to optimize it better. It is a process used to judge how well a website has been received by its users. Using web analytics, a company collects data, measures it and creates a report for understanding the productivity of a site. Web traffic is not the only aspect to be considered in web analytics. It can also be used as an effective tool for research of the market in order to assess as well as improve the utility of the website. Even when you launch a new advertising campaign, you can use this feature to find out if more people are getting redirected and the traffic is increasing. Thus, the success of the campaign can be judged from it, giving an indication towards its popularity. Data collection- logically speaking, this, without doubt, is the first step in web analytics. It involves counts and numbers and the basic function performed here is to collect relevant data. Converting the data into significant representation- the initial data that is collected is in the form of numbers only which is not very informative. Instead, convert them into ratios and proportions in order to judge the result. Development of KPI- even the ratios are not very clear indicators and cannot be used for research purposes. Instead, they are represented as Key Performance Indicators or KPIs which deals with the traffic conversion. Formulation of strategies- once the data is interpreted, it will give you a clear vision of where you stand. You can then develop strategies, goals, and objectives in order to further improve the quality. More traffic generation- it helps you to keep improving your website, ensuring that more and more traffic is being generated progressively. Improve website quality- once a proper analysis of the data is done and KPI is tracked, the information can be used to improve the quality of the websites which will subsequently lead to better business as more and more people visit it. Optimization- once you develop correct strategies for your business model, you can optimize it to suit your needs. We know the importance of web analytics and how it helps to make websites better which will be reflected in an increased scope of business with more revenue being generated and improved profits. Thus, at Proideators, we give you the best training possible and ensure that you are among the premium web analytical agents in the market. Web analytics is an integral part of growing any business and you should the reap the benefits of it while you can.